Datuk Seri Dr Nik advises clients on a wide range of legal matters incorporating Islamic finance, banking, offshore finance, debt restructuring, international, corporate and commercial law. He has also advised clients on debt and corporate restructuring transactions, and on the issuance of private debt securities including Islamic financial instruments (domestic and international). He has been legal counsel for several mergers and acquisitions and advises generally on regulatory and compliance issues. Prior to joining Zaid Ibrahim & Co. (a member of ZICO Law), Datuk Seri Dr Nik was with Baker & McKenzie (International Lawyers), Singapore. Previously he was working in an accounting firm and at a bank. 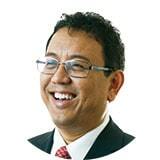 Datuk Seri Dr Nik was a Visiting Fulbright Scholar at Harvard Law School from 1996 to 1997, and a Chevening Fellow at the Oxford Centre for Islamic Studies, Oxford University. He was also formerly the Acting Dean/Deputy Dean of the Faculty of Laws, International Islamic University Malaysia.